CUST ended a strong spring season with the America Trophy regatta at St. Mary’s. On Saturday, a light breeze from the south gave way to a healthy east/northeast 10 knot wind later in the day, allowing sailors from both divisions to complete five sets, leaving four more for Sunday. Against tough competition, Columbia scored seventeenth overall. 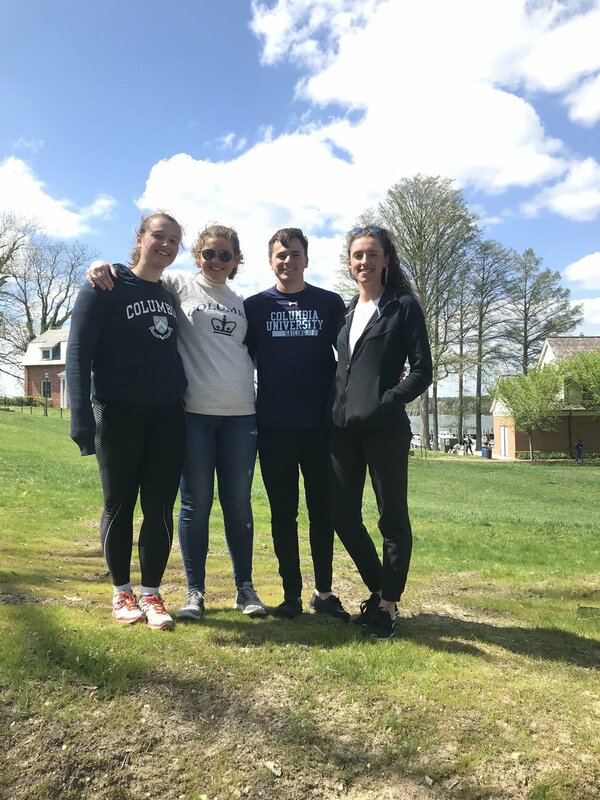 Seniors Adam Devita (CC ’18) and Bailey Fryer (SEAS ’18) sailed Division A for their last collegiate regatta with Lily Loosbrock (BC ’21) and Elizabeth Keeney (BC ’19) in Division B. With the academic year coming to an end, we’d like to congratulate the graduating seniors of CUST for all their hard work on the team and recognize the great year CUST has had, qualifying for both the women’s and co-ed MAISA conference championships both semesters of the year. Have a great summer and fair winds until next season!